Published here for the first time is unique translations from one of Hong Kong’s most famous Northern Style Kung Fu teachers, Grand-Master Liu Fa Meng. 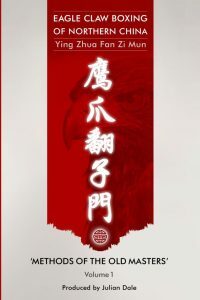 Painstakingly translated into English, precious insights into skills methods and practices on the Eagle Claw kung fu system are available to the western audience. This book is in the old style of a Chuan Pu (Kuen Po) or Fist Manual, a guide on how to practice and essential points, text focussed so that the reader pays attention to the theories idea’s and words, it makes for an essential addition to any martial arts practitioners library of books. The book is available on amazon.co.uk and ships worldwide.